These wheel trims have the 26mm stud hole and are designed to be used with standard wheel nuts. 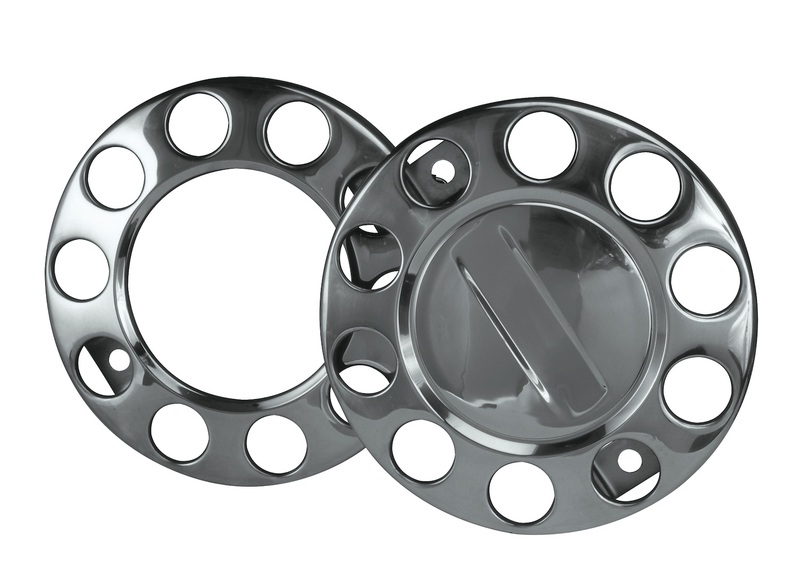 These polished stainless steel wheel trims are to fit 10 stud wheels. A good quality wheel trim with an open centre (commonly known as a step ring). These wheel trims have the 26mm stud hole and are designed to be used with standard wheel nuts. We also sell these wheel trims with the larger wheel stud hole to fit the Alcoa® retro fit sleeved wheel nuts - please see other listing. Sold in pairs (one axle set).